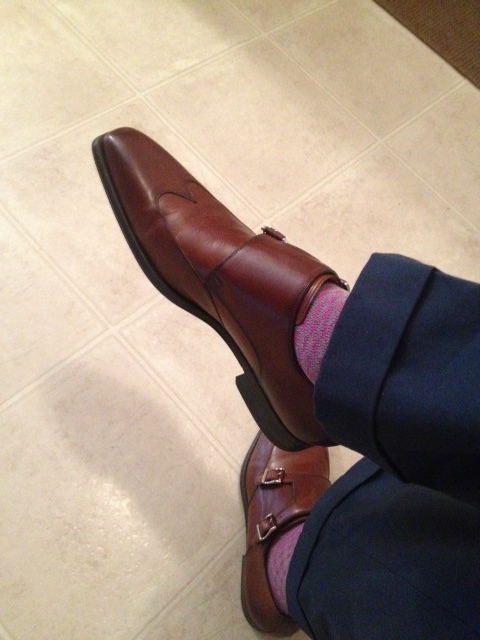 Brown double monk strap wingtips by Magnanni. Floral print silk neck tie by Brooks Brothers is a thrifting find. 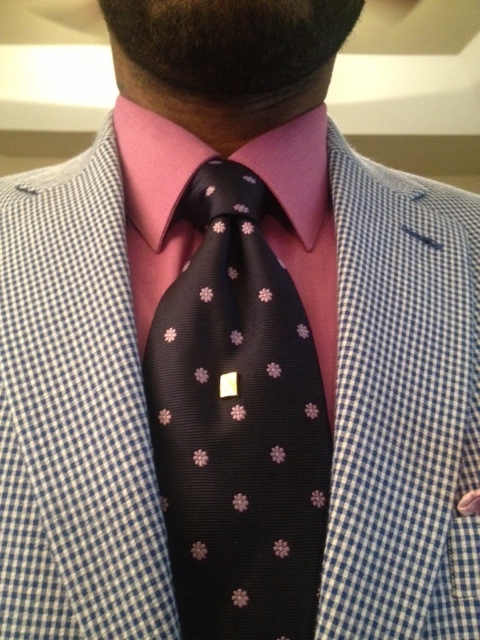 Tie pin is by Roundtree and Yorke. 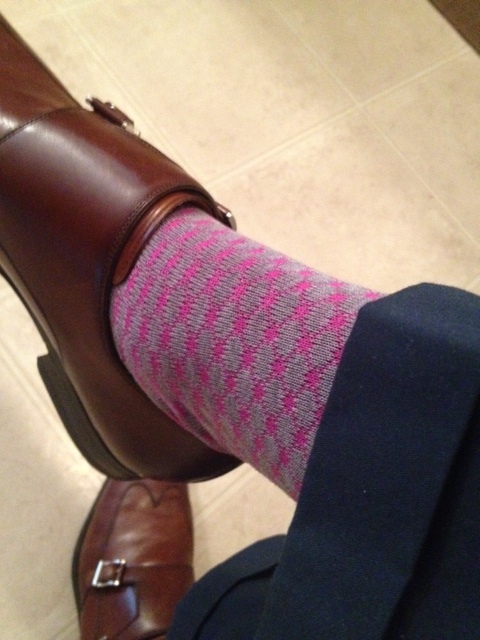 Fuchsia pointed collar dress shirt is by Van Heusen. 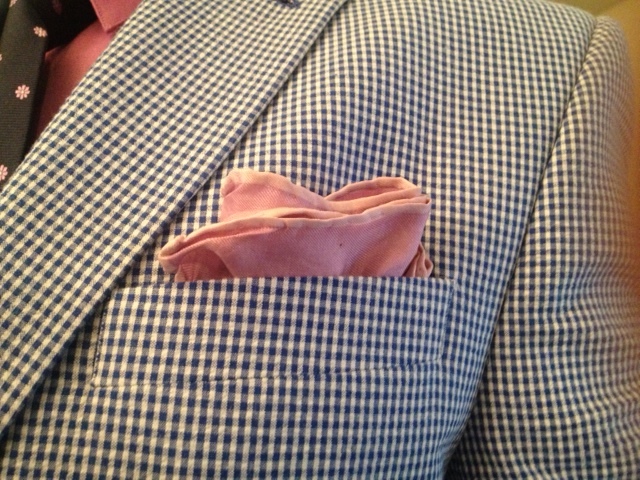 Fuchsia silk pocket square is a thrifting find. 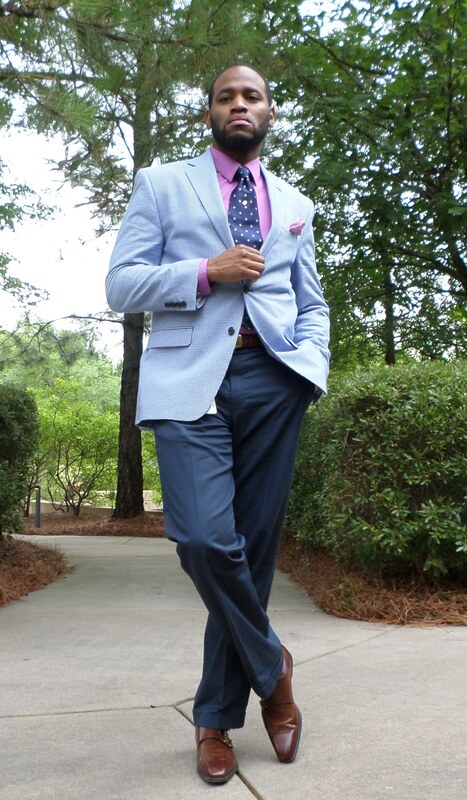 Blue gingham sport coat that features notch lapels, two button closure, side vents, flap pockets, and full interior lining is by Ralph Lauren. 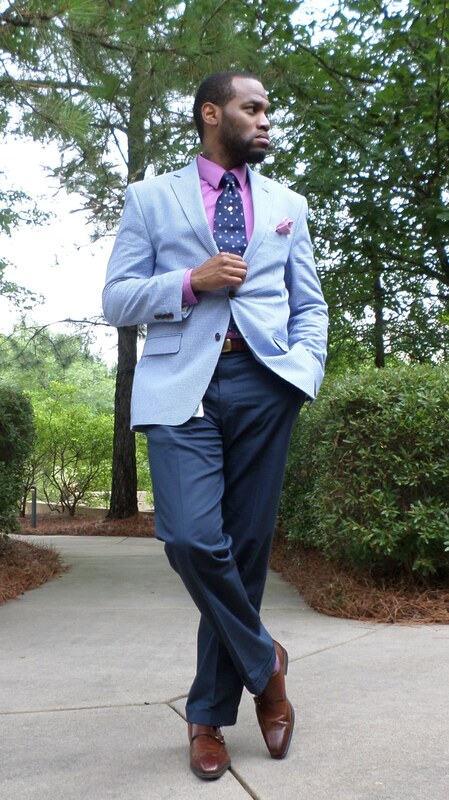 Blue flat front trousers are by Saks Fifth Avenue.